PHILADELPHIA, Penn. 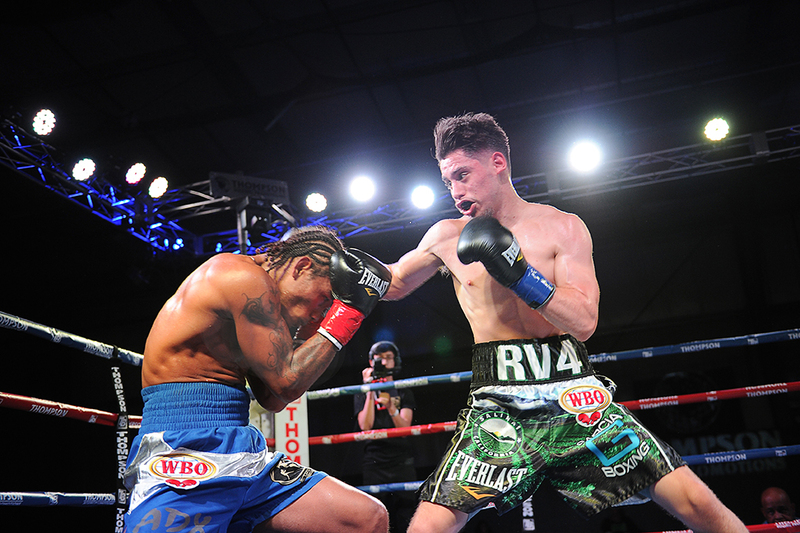 / ORANGE, Calif. ( April 16, 2018) – Prized prospect Ruben Villa(11-0, 4 KOs) continued his upward trajectory by thoroughly dismantling Marlon Olea (13-3, 12 KOs) to win the vacant WBO Youth Featherweight Title Saturday night from his hometown of Salinas, Calif.
Villa, just days before his twenty-first birthday, headlined his first event and won his first title in front of a raucous home crowd. The southpaw delivered an impressive performance, winning every round on all three scorecards (80-72 x3). After a feeling out first round, Villa turned up the heat in the second. Both hands began to split Olea’s guard, which became a constant theme throughout the 8-round title fight. As in his other fights, Villa consistently landed a seldom used punch by most boxers, a stiff jab to the midsection that neutralized the Colombian’s attack. In the third round, a “Ruben” chant broke out in the Salinas Storm House , just as the former back-to-back Golden Gloves champion started to land heavy combinations. Villa, who is managed by Danny Zamora, thrilled the sold-out crowd with his aggressive punching. “New Blood” was presented by Banner Promotions and Thompson Boxing Promotions.